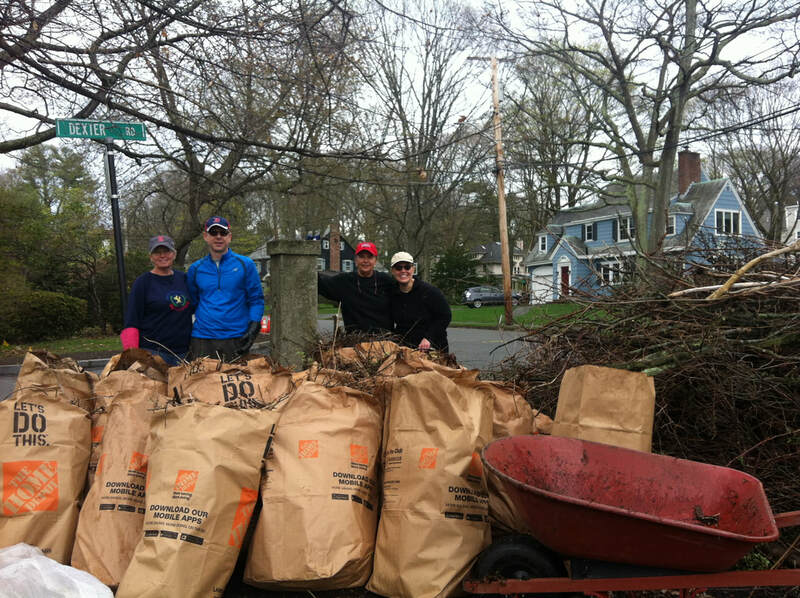 On Sunday, April 8, adult volunteers from the BPA and teen volunteers from Newton North removed some 20 bags and several stacks of bittersweet vine from the Comm Ave (south) bank of Bullough's Pond in a pull supervised by Professor Eric Olson and BPA VP Kathleen Kouril Grieser. (Photos below.) Supervised bittersweet removal was ongoing this spring. Professor Olson instructs the volunteers. BPA member Warren Kaplan in the thick of it. On May 2, BPA Vice President Kathleen Kouril Grieser took part in an effort at Newton North High School to help students learn about and connect with non-profits in Newton looking for volunteers. 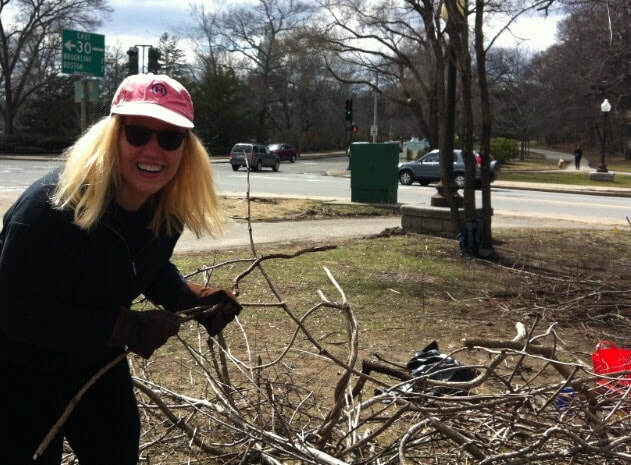 It's a win-win for organizations like the BPA and for students hoping to do some community service activities. ​Many thanks to Claudia Wu, Terry Yoffie and Alison Stiglmeier of the NNHS Center for Civic Engagement & Service for inviting us! 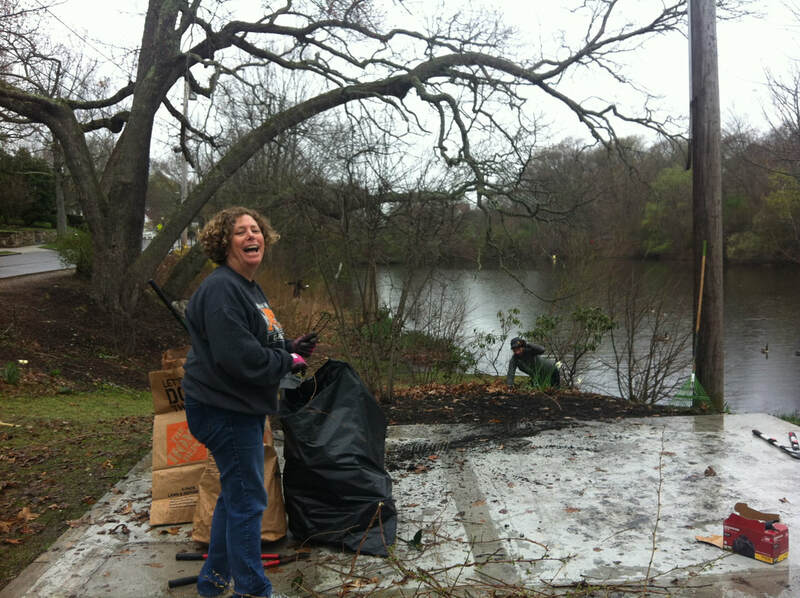 Volunteers showed up with tools, ready to work, despite the dreary weather. BPA board members were out in force too... Thanks to all! Stay tuned for updates about the next big initiative of the Bullough's Pond Association, as we begin an education and advocacy campaign to facilitate the next needed dredging of Bullough's Pond. Did you know you can support the care and protection of Bullough's Pond and take care of some of your gift shopping at the same﻿ tim﻿e? Visit the Shop page on our website, or email webmasterbulloughspond@gmail.com to order BPA merchandise and arrange pick up or delivery. Bullough's Pond Holiday Cards feature an image of peace that's perfect for any of the winter holidays, and elegant Bullough's Pond Note Cards make a wonderful small gift. Give your family, friends and co-workers a little taste of our neighborhood with a cheerful and stylish BPA Logo Coffee Mug. For a young child in your life, purchase a copy of Jamie and the Ducks of August, a charming story about a little boy and the ducks he loves on Bullough's Pond, written by the BPA's own Helene Tischler and illustrated by her longtime Bullough's Pond neighbor, the artist Charlotte Lockwood. 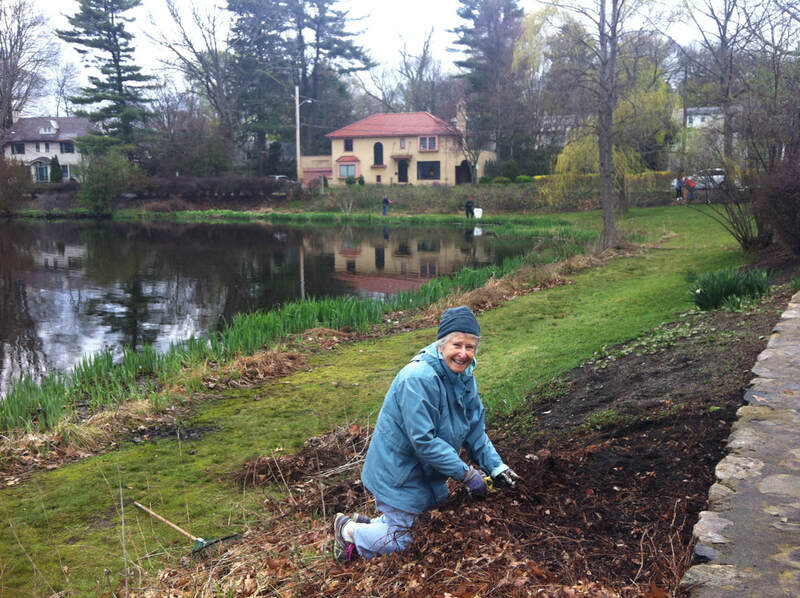 Proceeds support the Association's maintenance efforts at the pond. Click the product photos to shop.